Are you looking for a fun, kid-friendly holidays activity? Look no further. Join on Saturday, December 15th for a fun afternoon of sugar-fueled fun. 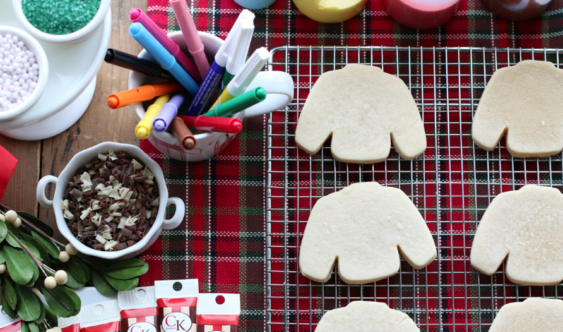 Wear your ugliest or most festive holiday sweater, and join us in decorating sweater-shaped cookies. They’ll also have festive tunes and hot apple cider. One free cookie per person to decorate/eat – each additional cookie is $3.